The second webinar in the annual Rutgers Equine Science Centre webinar series, which this year focuses on the theme “Demystifying Forage Feeding,” will take place on December 4. The webinar, which is aptly named “Optimising Equine Forage Use”, will be delivered by Krishona Martinson, who is an assistant professor and equine extension specialist in the Animal Science Department at the University of Minnesota. According to a press release published on The Horse, pastures offer a more affordable feed alternative to hay, however it is important that horses consume the correct type of grasses for optimum health and performance. The presentation will provide horse owners with a range of techniques and tips that they can use to “optimise both pasture and hay use,” as it is ideal that hay still form a portion of a horses diet. Horses must consume a number of different vitamins and minerals, some in large quantities, others in small quantities, in order to perform at their best. It is therefore vital that they consume a combination of grasses, hay and feed. The Groommaster horse feed range from Norco Rural Stores is comprised of various ingredients that help to ensure horses receive an adequate amount of vitamins and minerals each day. The horse feed contains wholegrain cereals, vegetable proteins, whole grains and pulses, linseed, lucerne, vegetable oils, molasses, yeast and amino acids, among others. 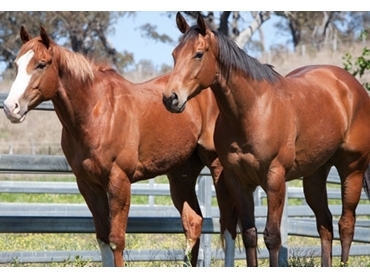 Is a micronised grain based horse feed with higher energy and lower protein levels. It is suitable for horses involved in moderate to heavy work. This multipurpose pellet feed is formulated with a cool energy source and it is designed for horses involved in work of a light to moderate nature. Is a multipurpose pellet feed designed for mature horses responsible for light to medium work duties. This particular horse feed provides easily digestible energy, and it contains superior quality protein. It is suitable for horses that require medium to high levels of energy. The webinar, which is bound to be of great use to horse owners, is set for 7.00pm U.S. time, or 11.00 am Australian time, so make sure you place a reminder in your calendar. To access the free webinar, click here and enter the session name, "Optimising Equine Forage Use."